New Year’s has arrived and although you may not have noticed my absence, I took time off from the blog for time with family. It was wonderful and the food was delicious. All the food. So much food. I’m sure many of you were enjoying yourselves a little too much, like I was, and now may be looking for healthier options. 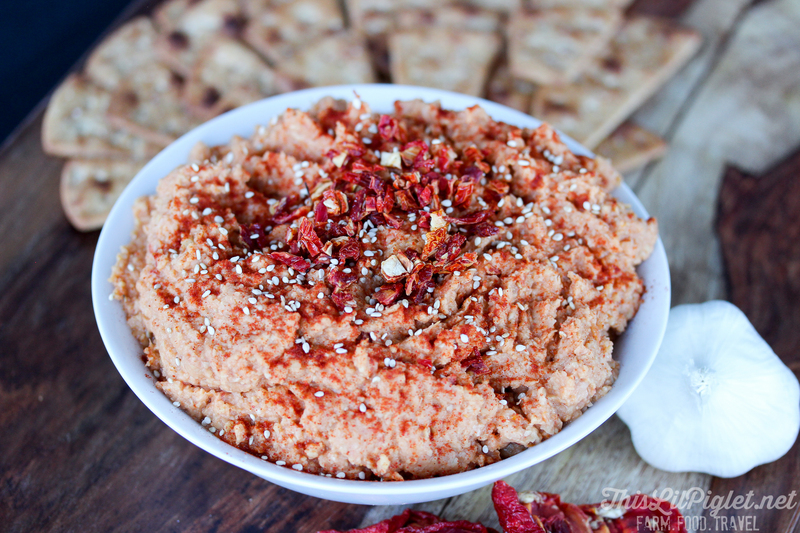 Sun-dried Tomato Hummus is the perfect appetizer or snack for lunch-boxes on the lighter side. My kids love hummus. No joke. If I put a dish down, they will eat until it’s gone. Obviously I don’t recommend indulging quite that much, moderation is key, but if you do overindulge on hummus, it’s at least a healthier sort of gluttony. 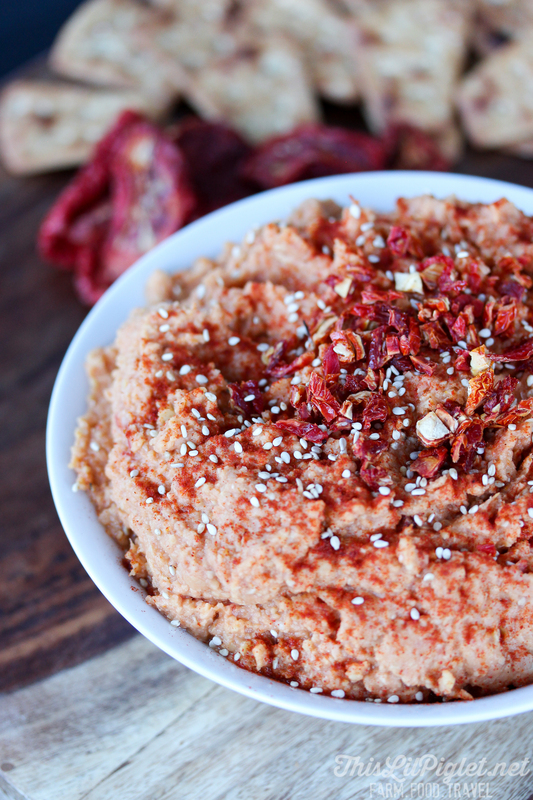 Their favourite is roasted red pepper hummus but they enjoyed this one as well. Personally, I like that this is a bit more of a grown up flavour of creamy hummus complimented by a hint of smokiness and toasted sesame for a healthy pita snack. This recipe is quick and easy in the Vitamix blender. You can easily whip it up in a couple of minutes for a quick game-night or after-school snack or prep a double batch ahead to store in individual size containers for the lunchbox or quests. Just store containers in the freezer for up to 4 months, place in fridge overnight to thaw before serving. Easy cleanup – I love that you can throw all ingredients into the Vitamix, blend in seconds to minutes, depending on the recipe, and the cleanup is minimal. Just rinse, fill the Vitamix jug to half of warm water, add a couple drops of dish soap and, with the lid on, turn the machine slowly up to clean in 60 seconds. Rinse and done. Flavours – Fully blended herbs bring out the rich and diverse levels of the recipes. Steaming Feature – This Vitamix can be turned up to 8 and in 4-5 minutes you will have steaming recipes such as creamy bacon and potato soup from scratch. Tamper Accessory – A tamper is is included to push down thicker ingredients into the blades without taking the lid off; this is a much quicker tool to use for recipes with hard ingredients. For other Vitamix recipes check out the website and join the conversation on the Vitamix Facebook, Twitter, Pinterest and Instagram accounts. Soak sun-dried tomatoes in hot water for 10 minutes and drain. Scoop into a bowl, garnish with chopped sun-dried tomato, sesame seeds and paprika before serving with pita chips. Can be stored in freezer up to 4 months, just remove and thaw in fridge over night before serving. 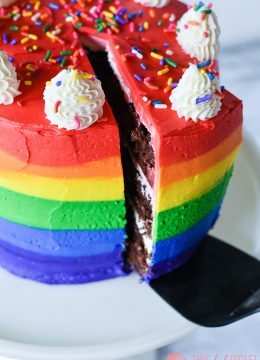 Stores up to 1 week in the fridge after making. 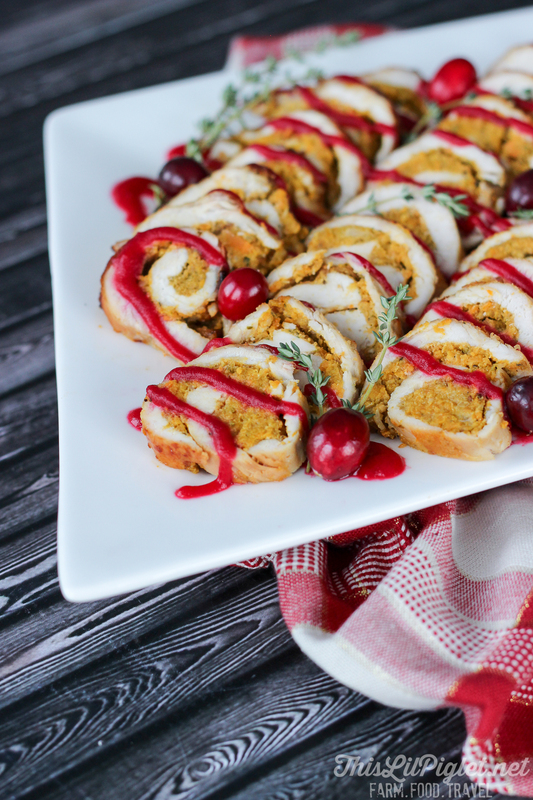 If you’re looking for a healthier meal that packs a punch in both presentation and taste, check out my Stuffed Turkey Roll with Cranberry Sauce recipe. 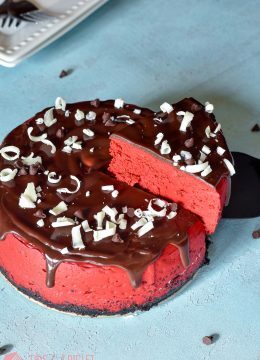 Yes, this recipe was also made almost completely with the Vitamix 7500. Pop over to read more about this machine. From smoothies and iced coffees to dips, soups and desserts, you’ll love what the Vitamix 7500 can do in your kitchen. Disclosure: This is a sponsored post. All opinions are 100% my own. 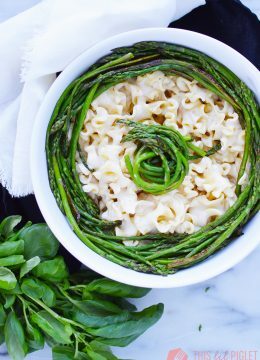 Recipe is copyrighted by Stacey Martin.